Which Monnit Software Platform is Right For You? In addition to the numerous wireless sensors, gateways and other devices offered by Monnit to connect your devices to the Internet of Things, Monnit also provides several software solutions to view all the data being collected. 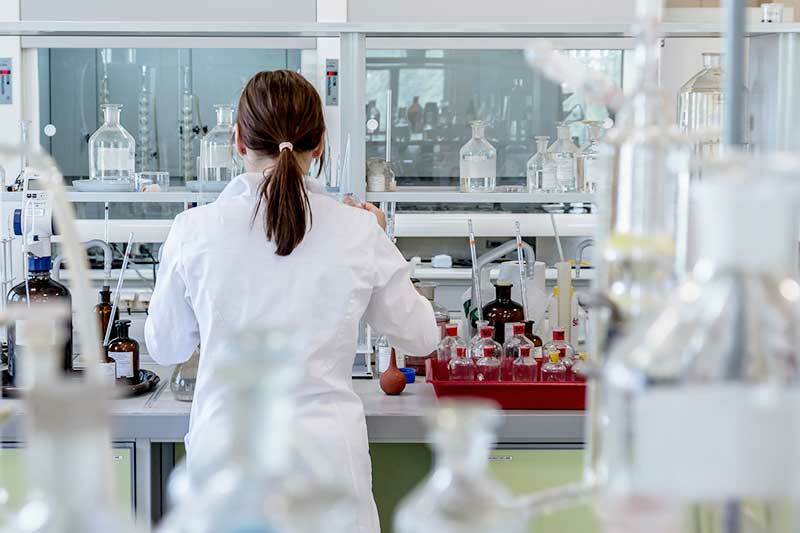 Gathering data is only half of the equation, the other half is a software solution for viewing and analyzing this information so you can optimize systems or respond to issues in a timely manner. iMonnit Express PC Software is an alternative to online monitoring that runs as a standalone PC application without the need for an internet connection. This system is meant to provide a simple and effective way for customers to manage a smaller network of sensors using on-screen alerts and email notifications to remotely signal the user. iMonnit Express allows for the same basic sensor network configuration and customization as the online version and can be used with most Monnit wireless sensors and gateway products. iMonnit Enterprise is available for large organizations with specific data usage requirements. It provides the same feature set as the iMonnit Premiere online system while allowing the organization to host and maintain their own sensor data, on their own server, behind a company firewall. iMonnit Enterprise also allows for a virtually unlimited number of sensors and gateways and sensor heartbeats down to 1 second (limitations are based on company’s server resources). If you have your own software platform and would like to use Monnit wireless products, Monnit has a few options available. APIs/Webhooks can be used from within iMonnit to push sensor data to your software. If you want to completely integrate Monnit wireless sensor networks into your application, Monnit Mine enables true IoT functionality by enabling integration of Monnit wireless sensors networks with existing or custom software systems by providing a translation layer between the two. Note: In order to use Monnit wireless sensors with iMonnit Express, iMonnit Enterprise or Monnit Mine, wireless gateways will need to be unlocked, allowing them to be directed to your custom host or IP address. iMonnit Enterprise, Premiere, and MINE can also be white-labeled to match your company’s branding and colors. Click here to compare software options in greater detail, or feel free to reach out to a sales rep anytime to discuss further at (801) 561-5555. 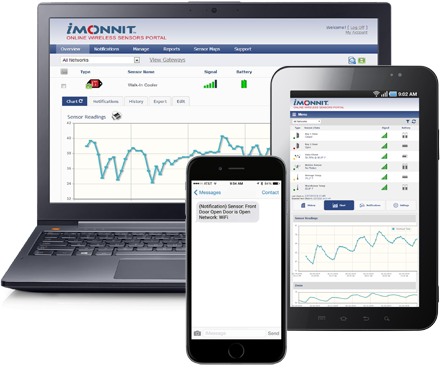 How Can Monnit Remote Monitoring Solutions Help Your Business? Did you know Monnit has a collection of Use Cases for potential customers to browse through when deciding if Monnit is the right option for their needs? We have created these documents to show how real-world environments are affected and protected by Monnit wireless sensors. All of these use cases come from actual customers who are either installing a Monnit system because a recent incident took place, or are providing insights as to how their Monnit network is preventing avoidable disasters. Monnit products cover the needs for countless applications and industries. The main purpose at Monnit, is to provide IoT technology for everyone! 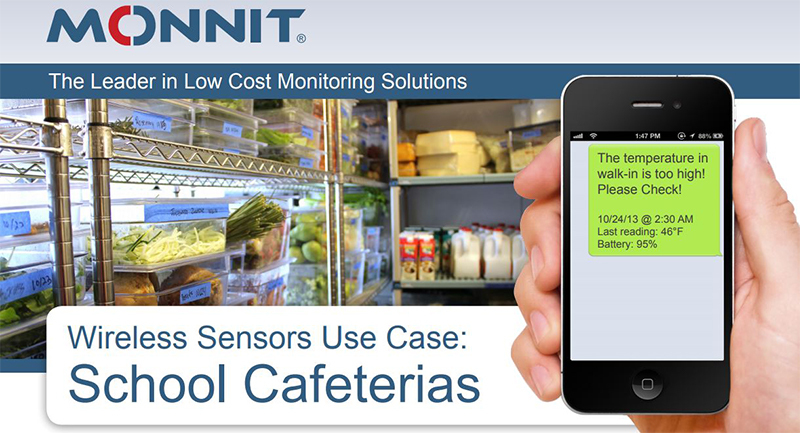 Whether monitoring a school or church, looking after foods stored in coolers and freezers, or tracking conditions of expensive wood flooring, Monnit wireless sensors have you covered. Monnit use cases are actual stories from our customers that describe an issue they were having, what Monnit products were implemented, and how those products have helped the customers since. For example, Monnit was contacted by the manager of a large corporation’s internal data center that had a water issue during a weekend. While their existing system monitored for temperatures and humidity, there was nothing set up to detect water intrusion. A toilet ended up leaking outside of the data center, which caused water to cover the floor and seep into the server room. The water caused an electrical short which took down several server stacks and damaged a handful of servers. This is not the way anyone wants to start a Monday morning! This example perfectly illustrates how Monnit wireless sensors can help protect any business from unexpected disasters. No one could have predicted a toilet issue several yards away from the data center could cause such significant damage. A typical unexpected disaster can results in thousands of dollars in damage, while Monnit wireless sensors start at just $49. For only a few hundred dollars, this company was able to implement a solution to safe-guard against this type of unforeseen incident in the future. Learn more about Monnit wireless sensors and be sure to view our Use Cases to see how Monnit can positively impact your business. As winter draws to a close and spring-time comes around the corner, don’t let the changing conditions catch you off guard! Be prepared for potential disasters such as water intrusion due to snow thawing. 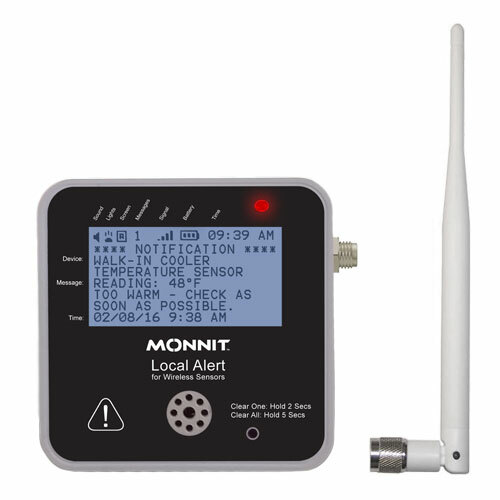 There are several solutions from Monnit to help detect potential disasters early! Monnit offers 4 different sensors for water detection: Water Detect, Water Detect Plus, Water Rope, and Water Puck. Each of these sensors report the same type of data, whether or not water is present, but are all slightly different with how that data is collected. Let’s start with the simplest options, Water Detect and Water Detect Plus. Water Detect uses a 3 ft wire (customizable) to detect when water comes in contact with the wire ends, sending a notification to the iMonnit system. This sensor covers the least amount of surface area but is ideal for attaching directly to pipes or placing on the edge of a central drain where water would most likely flow. An optional “Detect Plus” probe can be added to the end of the water detection wire, which can be positioned and mounted at a set distance above the ground, eliminating false alarms. Perhaps a drain pan needs to be guarded against overflowing, this probe can be placed at the ideal level to alert users when water is getting dangerously high. Monnit’s Water Rope Sensor is exactly what it sounds like, a water sensitive rope which comes in 10 ft. segments and can be extended up to 100 ft. 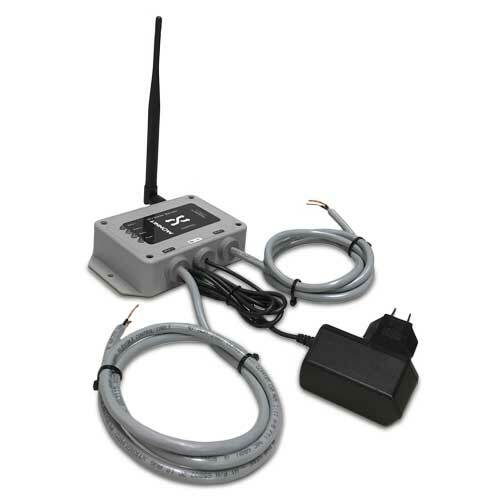 This type of water detection sensor is great for safe guarding entire rooms, typically the rope is placed at the bottom of a baseboard or in a sub-flooring area. A great example of this would be a customer who had a toilet break over the weekend, causing major flooding which eventually seeped into their data center. Had a water rope sensor been placed around the floor and doorway to that room, an alert would have sounded the second water touched it and would not have been discovered on Monday morning when it was too late. Finally, the Monnit Water Puck sensor is for portability and durability. This sensor is completely water sealed and can be placed in any potential problem area, inside or outside of a building. Monnit has plenty of other sensors as well depending on what “Things” you would like to monitor. Accelerometers can be used to track mechanical movement and send alerts if pumps or motors start vibrating excessively. Humidity is another environmental factor to keep an eye on as the weather changes. With over 50 unique types of wireless sensors available, whatever your needs may be, Monnit has a solution! If you don’t find what you need, contact our team to ask about custom sensor development. Whatever your needs may be, Monnit is here to assist and help safeguard your buildings as the weather changes in the coming months. As the holiday season comes to an end, families return home after spending valuable time with each other. All this travel can be hectic, and sometimes there are things forgotten as people rush to return to their everyday lives. Monnit wireless sensors are a perfect way to ensure the maximum protection of your property while away. 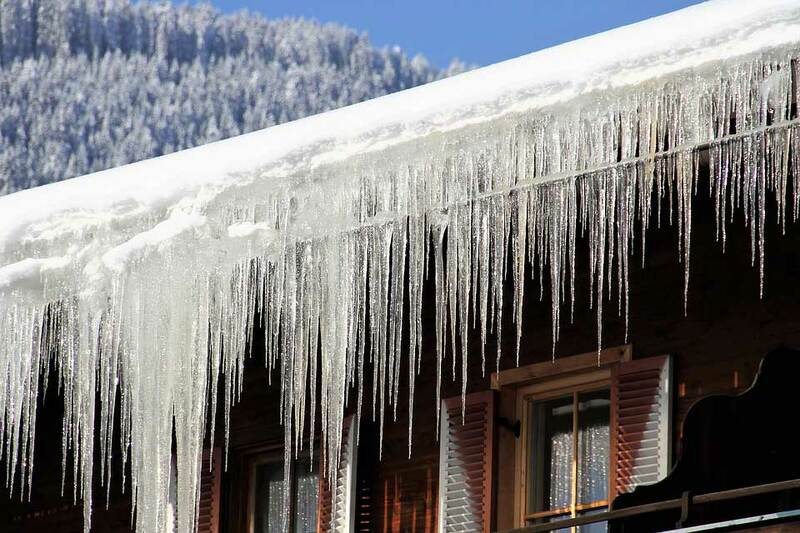 From monitoring entrance ways to keeping an eye on potential water leaks due to snow and ice, Monnit has you covered. Monnit wireless sensors are designed to help protect businesses, properties and homes. Open/Closed sensors can send notifications to your phone or email should a door or window be opened or left open for a set period of time. Motion sensors help keep an eye on entry ways, driveways or other more publicity accessible areas. Unoccupied buildings and homes are more frequent this time of the year, increasing the risk for damage due to the cold and weather. As temperatures drop, energy costs go up and the potential for damaging water leaks is increased. Monnit’s most popular sensors are temperature sensors because of how flexible their application is. Individuals or property managers can record temperatures of the air (inside/outside), the temperature of water, temperatures inside of duct work, or any other place where knowing temperature fluctuations would be useful. Tracking temperature changes over time can give users insights into how equipment is working or help show inconsistencies with heating systems. A/C current meters are an excellent way to get precise readouts on energy consumption and are especially useful to track power spikes or fine tune heating costs during the winter months. Combining a couple of temperature sensors with an A/C current meter will allow users to get a comprehensive view of energy consumption by comparing temperatures in different areas of a home or building. Knowing when your heating system is using the most amount of power gives insights into if there is an environmental factor which can be better controlled. 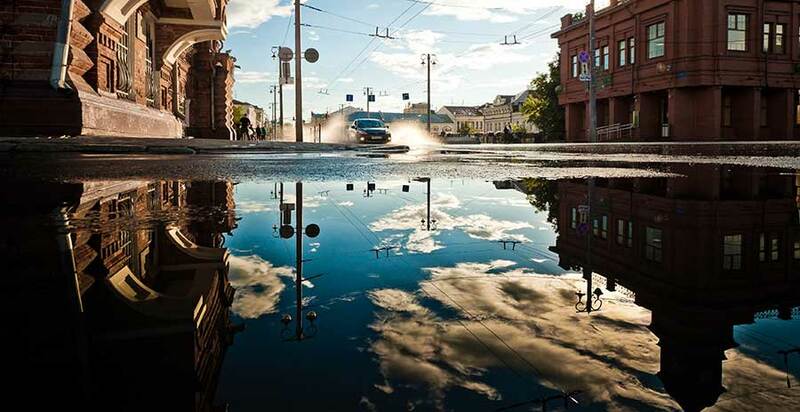 Finally, one of the more damaging problems caused during winter is unexpected water damage from rain, snow, or ice. Expanding and contracting water can be very dangerous if it is able to get into the wrong areas, Monnit water detection sensors help prevent this water damage. If water can be removed in time, there is usually not that much harm done. It is the unnoticed water which sits that causes the most trouble, a Monnit wireless sensor is able to send notifications to any internet enabled device immediately should H2O be detected. Monnit wants to make sure your building or home and the assets inside are protected. All of the sensor data generated can be viewed on one centralized website or mobile app, with custom notifications being sent is any issues are detected. There is not 1 cookie-cutter solution when it comes to the sensors and gateways required, so all of Monnit’s sensors and gateways are mix and match. Build the solution that best fits your needs for well under $500. We encourage users to start with the basics and expand their system as needed, once the value has been realized. For specific inquires, contact our sales team at: (801) 561-5555. Monnit wishes you the best this winter season. Have fun with friends and family while enjoying the peace of mind that comes from knowing your home or business is safe and sound. IoTvantage is the premier Internet of Things (IoT) partner platform offered by Monnit. Monnit products are not just for our end users, we like to partner with other companies to provide an all-encompassing solution. Below are a few examples of the types of companies we can partner with and the value added in each opportunity. Should you not happen to find exactly what you are looking for, reach out to a Monnit sales rep today to find out if our team can come up with a solution that meets your needs. A value-added reseller (VAR) is a company that adds features or services to an existing product, then resells it (usually to end-users) as an integrated product or complete “turn-key” solution. Perhaps your organization has wanted to suggest sensors to their customer base at one point or another, but haven’t come around to it for some reason. Maybe the technology was either overly complicated for the customer to understand, difficult to install, or cost prohibitive. Monnit has tried to address all of these issues with our various kits. 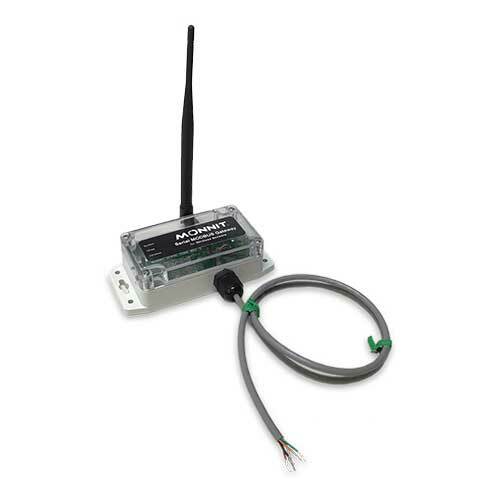 These kits are wireless, so simply install using the included mounting options. Monnit kits are also simple for the customer to understand and affordable, eliminating the price backlash commonly associated with sensor networking technologies today. Give your current and new customer bases a reason to stay, increase overall numbers by offering a useful solution that helps them prevent damage to assets they’ve worked hard to build or acquire. A systems integrator is a person or company that specializes in bringing together component subsystems into a whole and ensuring that those subsystems function together. Typically these organizations have their own products or systems developed (or in development) and are looking for ways to increase revenue or enhance a product’s value proposition. Whether you are interested in Monnit’s wireless sensor hardware offering or our iMonnit online wireless sensor monitoring, Monnit is flexible enough to provide you with the right solution. Don’t feel like your company has to build it all from scratch. Do what you do best, and leave the rest to Monnit! We make it easy and cost effective to private label our wireless sensors, wireless gateways, and our iMonnit online wireless sensor monitoring and notification system. An independent software vendor (ISV) is an organization specializing in making and selling software, as opposed to hardware, designed for mass or niche markets. Monnit provides a software integration platform for independent software vendors wishing to use our wireless sensing hardware with their own backend software application. Monnit wireless gateways can be directed to a custom host or IP address where they can communicate with your existing or custom software application using Monnit MINE software API as a translation layer. Monnit OEM sensors are a complete wireless sensor platform consisting of wireless sensors, gateways and monitoring software that you can manage, brand and own. Our products offer a complete sensing, data tracking and alerting solution that has been tried and tested in some of the most demanding industries. Monnit products are offered in an un-branded format for resale and private labeling. Board level sensors are perfect for companies interested in repackaging Monnit products into your enclosures. To learn more about Monnit’s IoTvantage program and how to become a partner, visit www.monnit.com/partner. The weather is starting to change in the northern hemisphere, winter is coming. 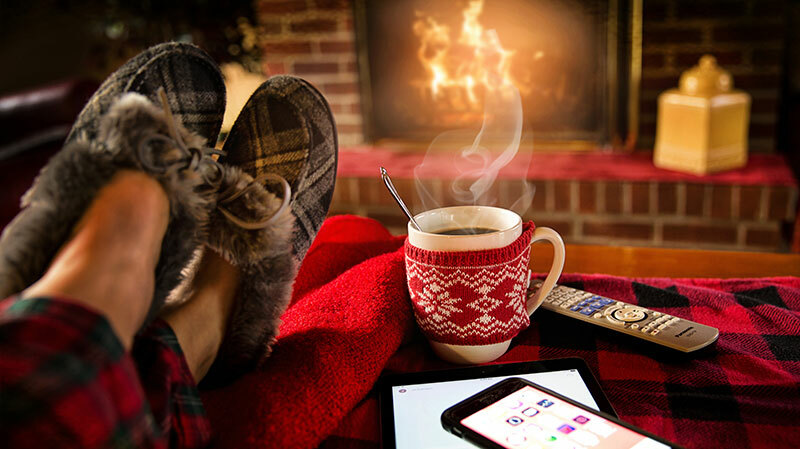 As people begin to switch over from air conditioning to heat, it is important to take a minute to ensure your home or company’s system is prepared for the coming months. Now would be a perfect time to implement a couple of Monnit wireless sensors to provide maximum protection and comfort for your family or employees. Boiler systems for larger companies can be cumbersome to maintain. These systems are not active for the entire year and sitting idle during the summer months increases their chances of malfunction when turned on. Not only are repairs costly, the lack of heat leaves occupants very uncomfortable. Fortunately, Monnit has a solution! Monnit has created a kit specifically for boiler rooms and furnace units. 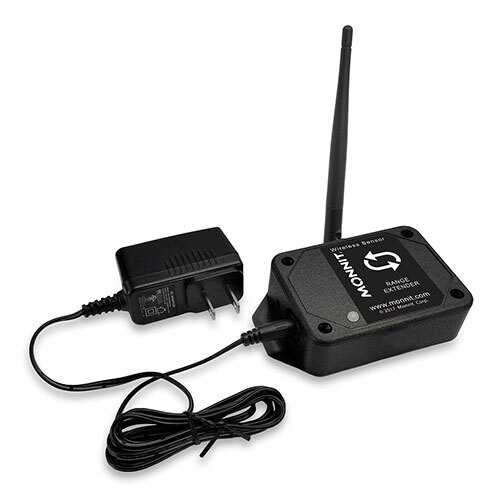 For under $800, any organization can purchase a gateway and sensors specifically designed to monitor temperature and power consumption in different areas. In addition to these more basic sensors, accelerometers can be placed on specific moving parts to confirm proper harmonic movement. The idea of a remote monitoring solution is to help prevent problems before they turn into expensive repairs. It is a lot easier and cheaper to replace a loose bolt or seal up a pipe than it is to deal with the potential damage of that bolt breaking or air/water leaking into problem areas. Industrial boiler applications are quite a bit more expensive than the average sized home, but that doesn’t mean Monnit sensors are only for these applications. All of Monnit’s sensors and gateways are able to communicate with each other, it is very simple to set up a remote monitoring solution on a smaller scale. While larger boiler rooms tend to have certain standards and uniform properties to them, each house’s heating system is completely different based on numerous factors. Set up a system that will work best for your needs! All of our sensors can be viewed here. Feel free to chat with a customer service representative should there be any questions relating to your ideal set up. The Internet of Things is changing the way people interact with machines around them. No longer do humans have to react to a problem when it arises, Monnit wireless sensors allow users to monitor their boiler rooms 24/7. Receive notifications on any internet enabled device should conditions go outside the set benchmarks. Preventing problems before they turn into big issues will keep the people you care about warm over the long winter season. Monnit wireless sensors have a wide range of applications and can be installed in any environment. The internet of things can be used in any industry, there is no limit to what an IoT network can monitor in your environment. Should there happen to not be a standard version of the product you are looking for available, our engineering department can create a custom solution for your specific needs. 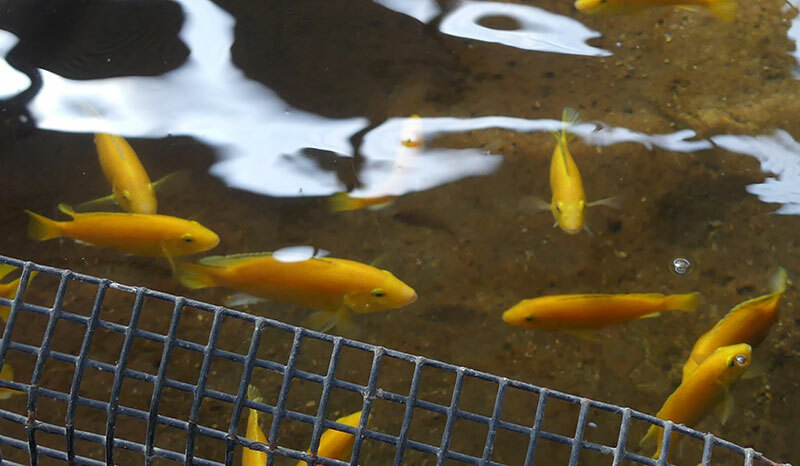 One recent customer Monnit was introduced to is a fish hatchery in Salt Lake City, Utah that needed sensors for monitoring water temperatures. While their solution was not custom engineered, there were some specific atmospheric conditions to consider. Josh with Crystal Springs Fisheries uses 180-degree geothermal water from a 1000’ well to breed and grow exotic fish which he then sells all over the world. The only potential issue is the geothermal water supplied from the 1000’ well requires piping to remain running and equipment to ensure proper temperatures. Due to the constant running water, there is much higher humidity inside the greenhouse compared to the dry outside air and Josh’s old temperature monitoring system was not able to remain functioning in these conditions. There were a couple of hurdles to jump for this solution, and Monnit was able to set Josh up with a complete network for both his hatchery and store for around $1,000. Monnit’s water temperature sensors come with a three-foot probe and are able to record temperatures from -40°F – 257°F (-40°C – 125°C). This allowed Josh to place a temperature sensor directly where his well water exits the ground at 180°F and not have to worry about equipment damage or failure. Monnit also provided Crystal Springs Fisheries with a IP65, NEMA 4X, CE rated, sealed, and weatherproof housing capable of withstanding the high humidity levels. Monnit creates sensors which are able to adapt to any company’s specific environment. Whatever your application may be, Monnit sensors will be able to track and record data. The real benefit of our system is not only the data generated, but the ability for users to set up custom notifications based on environmental conditions. For example, Josh will receive a text message on his phone should the water temperature drop below safe levels for his tropical fish. Monnit wireless sensors are not just a passive data collector, our technology will alert you of potentially dangerous conditions allowing for a quick response. For a fraction of the cost of repairs or damaged inventory, Monnit wireless sensors and secure cloud networks keep an eye on your home or business 24/7.